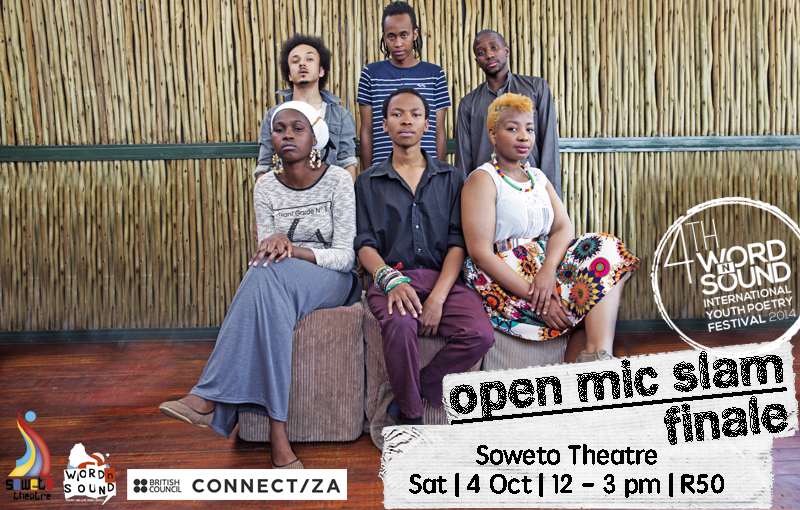 A new Open Mic Champion will be crowned in a breath-taking finale of the the year long spoken word development initiative, The Word N Sound Open Mic Poetry League. Bafentse Ntlokoa, Nkosinathi Gaar, Zewande BK Bhengu, Carlos NoLIFE Ncube, Xabiso Vili, and Thando Bhuthelezi will be vying for the coveted King/Queen of the Mic title, which for the first time in its four year history has six (and not 5) contenders. Published poet Given Illustrative Masilela and theatre practitioner, Sibongile Fisher, fresh from Speak the Mind stage at the International Arts Alive Festival, will be our showcase acts of the day.